Raising venture capital is tough. With so many success stories in the business pages about the latest and greatest startups attracting investment, you would be forgiven for thinking it’s a breeze- but the reality is that for each triumph there are hundreds who try and fail. While venture capitalists may have deep pockets, they only got that way through calculated, shrewd, and precise investments. Pick any renowned venture capitalist at random and chances are they have probably only invested in around 1-2% of the businesses they evaluate. So, what is it that makes that small percentage of businesses stand out? “There are a million things you could be doing as an early-stage startup founder, but the only important things are building product and talking to users.” That’s according to Kat Manalac, partner at American seed accelerator Y Combinator. But theory is one thing- what can we take away from real-world examples of UAE startups that have attracted venture capital? Well, let’s take a look. Most people reading this will probably have heard of Souq: The e-commerce retail platform that is often dubbed the Amazon of the Middle East. What many people may not know, however, is that Souq started life as an auction site, and owes its current success to a 2011 change of business model and a hefty amount of venture capital funding. 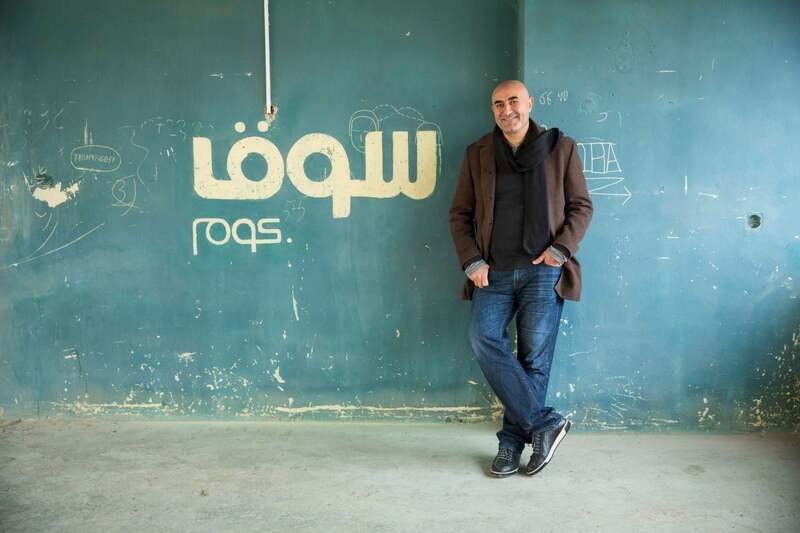 Despite seeing relative success since its launch in 2005, Souq founder and CEO Ronaldo Mouchawar felt that an auction platform was not the most scalable model for capitalising on the e-commerce boom. Mouchawar then made a bold move, shutting down his auction business within months and banking his company’s future on a new fixed-price retail model: "…we bet the house. We said that whatever money we had, we’d save to develop the new product then once we launched it, every penny had to be spent within six months. Either we’d make it or we’d all go home." Ronaldo Mouchawar, co-founder and CEO, Souq.com .Image credit: Souq.com. The gamble paid off. Within just three years of the change of direction, Souq had secured US$150 million in venture capital, notably raising $75 million in an additional round of funding from Naspers Limited in 2014. In that same time period, the business had grown more than ten-fold, boasting 23 million visits per month and 6.2 million users signed up to its site. And this was only the beginning of Souq’s success, both as an online retailer and in raising venture capital. In February 2016, Souq closed another funding round of over $275 million (bringing the total amount of venture capital backing to $425 million) from several large investors, including Tiger Global and Standard Chartered Private Equity. This latest round of investment valued the company at an incredible $1 billion. And it’s not hard to see why venture capitalists continue to invest. Today, Souq is the most visited shopping destination in the whole of the Middle East, seeing 1.5 million visitors per day to its website. In the last few years, this has translated to a reported turnover of $136 million in 2014 and $270 million in 2015. As for 2016? Most likely more of the same: Mouchawar is predicting an increase in sales of 90%. In terms of recent, home-grown startup success stories, they don’t come much bigger than Careem. Based in Dubai, Careem is an app-based car booking service, founded in 2012 by two former McKinsey & Co consultants- Magnus Olsson and Mudassir Sheikha. Thanks to its state-of-the-art mapping and tracking database, Careem quickly grew in popularity, not just in the UAE, but across the whole of the MENA region. Today, it is one of the Emirates’ fastest-growing tech startups- thanks in no small part to venture capital backing. 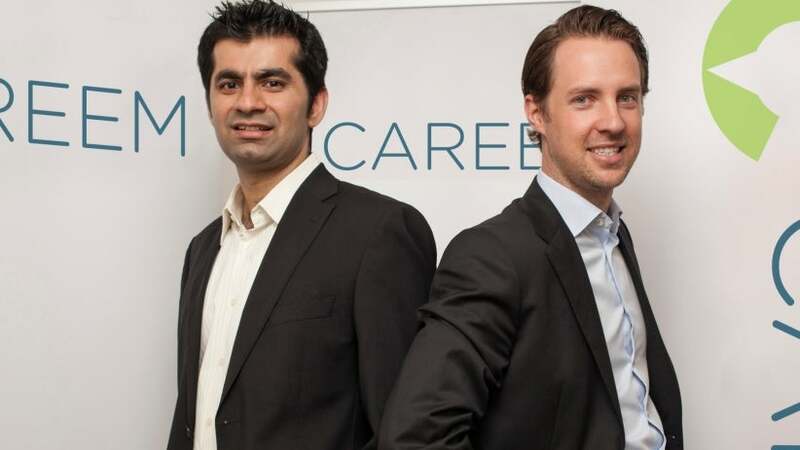 Mudassir Sheikha and Magnus Olsson, co-founders, Careem.Image credit: Careem. Launched in 2012, the company started as a corporate car booking website then evolved into an app-based taxi service for use by all. In less than four years, Olsson and Sheikha’s business has grown from an idea into an enterprise with more than 40,000 drivers. Early on, the company wanted to expand into markets outside of the UAE. To put these plans into action, Careem sought investment and successfully secured backing to the tune of $1.7 million from Saudi-based investment group STC Ventures in 2013. Though a huge amount at the time, it would become small fry in comparison to the total funding the Dubai-based business would go on to raise. Just over one year later, Careem successfully achieved their goal of expansion. With the company now operating in 14 cities throughout the Middle East and Asia -including Beirut, Cairo, Doha and Lahore- it secured $10 million in a second round of funding. And it grew from there. Careem was catapulted into the big leagues in November 2015, thanks to a $60 million investment led by The Abraaj Group. While this did raise some eyebrows in the business world, Careem’s incredible growth in such a short space of time made it look incredibly justified: At the time of investment, Careem had seen month-on-month growth of over 30% in its core markets for the previous three years. The Careem story truly is an advert for just how much venture capital funding can accelerate a business. The next company on our list makes Careem’s meteoric rise to the top seem almost slow. HolidayMe, the brainchild of Digvijay Pratap and Geet Bhalla, was launched out of an unassuming Dubai home less than three years ago. Spotting the rapid rise in outbound leisure travel from the Middle East, the entrepreneurs pooled their knowledge -Pratap spent years working as a software developer for Thomas Cook while Bhalle was in finance and IT for Thomson Reuters- to claim a piece of what was a fast-growing pie. Their idea for a one-stop travel shop had a key principle of entrepreneurship at its core: simplicity. Booking a holiday out of the Middle East was still a cumbersome experience, and the aim of HolidayMe was to streamline this process, allowing travellers to design their trip and book every element from one place: flights, hotels and excursions. The prototype portal built to achieve these goals quickly won plaudits from those well versed in the industry, and HolidayMe secured its first investment less than one year after launch in the shape of $4 million from the Al Sanie venture capital group. Digvijay Pratap and Geet Bhalla, co-founders, HolidayME.Image credit: HolidayME. That was in January 2015. In the months that followed, both HolidayMe and the online travel industry in the Middle East -worth a reported $72 billion- continued to blossom. This fact did not go unnoticed by several venture capital groups. And so it was in October 2016 -two years and ten months after its inception- that HolidayMe secured its latest round of investment: $7 million from F&C Overseas Investment, Al Sanie Group, and Accel Partners. Even against the backdrop of a business landscape as fast-moving as the UAE’s, expanding from a staff of five working out of one room to a team of 120 employees (with offices in Dubai as well as Pune and Gurgaon in India) in little under three years is something of an extraordinary achievement. If it could be said there was a theme running through this list, then it is one of innovation. Each of the companies covered here have taken an existing, often traditional concept and revolutionised it- viewing it through new eyes and making it work better for its users. And our final entry, Fetchr, is no exception. Launched in 2012 by Idriss Al Rifai and Joy Ajlouny, Fetchr is a delivery company like no other. To send a package, all users need to do is take a picture of the item they wish to send and select a pickup time, they will then receive an alert when the driver is nearby. So far so simple. But it is Fetchr’s delivery process that really sets it apart. When a delivery is en route, customers are alerted by the Fetchr app or SMS, and the package is then delivered to the precise location of the recipient’s mobile phone. Beyond just making parcel delivery easier, Fetchr has lofty ambitions to bring delivery services to emerging markets such as North Africa, sub-Saharan Africa, Asia, India, and the Middle East- regions where easily locatable standard delivery addresses are not always that common. Fetchr team with co-founders Joy Ajlouny and Idriss Al Rifai. Image credit: Fetchr. These plans received a huge boost in June of 2015 when Fetchr raised $11 million in a Series A round of funding led by Silicon Valley venture capitalists New Enterprise Associates- an investment that valued the business at around $73 million. The deal was heralded at the time as the largest investment of US-based venture funds in the Middle East for a Series A. The investment also made Fetchr app the first to be funded by Silicon Valley, and launched in the MENA region. Having changed the face of the logistics industry in the UAE where its 100-strong team work to deliver thousands of packages every day, Fetchr now looks set to do the same in the rest of the GCC. And the expansion is not just long-term – in a matter of months it is expected that Saudi Arabia will be the company’s biggest user, with other GCC countries soon following suit. And with a sizeable investment and an innovative idea in place, there are very few who would bet against them. As already mentioned, raising venture capital is incredibly difficult. There are countless criteria that need to be met before a venture capitalist will cast their eye over a business. All that the hopeful entrepreneur can do is ensure that if and when that time comes, both business and owner are prepared. As for how to stand out from the crowd- well if there was a simple trick then we would all be millionaires. It is of course a mix of many things: An innovative idea, a strong team, a working and scalable model, all combining to create a business with palpable momentum. Of course, as powerful a tool as venture capital can be in projecting a buzzing business into the stratosphere, there are plenty of other routes to success. However, whichever route you choose to take, it pays to be ready for the long haul. VC money or no VC money, building a business can be a long and lonely road and those who head down it must remain patient as they persevere.